WARNING: Investigational Device. Limited by Federal law to investigational use. 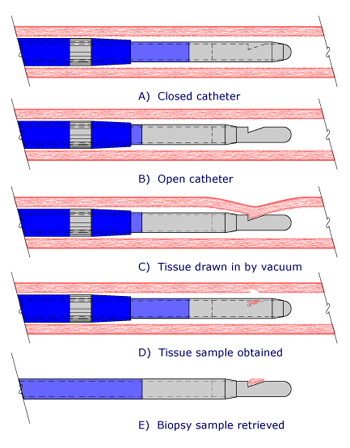 This device should be used only by physicians with a thorough understanding of percutaneous interventional procedures and training in the use of the endoarterial biopsy catheter. DISCLAIMER: The material provided on this site is strictly for informational purposes. Do not use this site as a substitute for medical care or medical advice. Please consult with your physician or other medical care provider regarding any medical questions you may have.